A new Luka Chuppi song is here! Kartik Aaryan and Kriti Sanon just introduced a brand new song titled Photofrom their upcoming film Luka Chuppi. While sharing the Luka Chuppi song on Twitter, Kartik wrote: "Celebrate Valentine's Day with Photo, one of my favourite tracks," while Kriti added: "Anyone who has been in love will definitely relate to this one... my fav from our album Photo is out now! Fall in love." Sung by Karan Sehmbi, the song tracks how Kartik and Kriti's infatuation transcend into love. They behave like bona fide lovers - smiling at each other's messages, blushing at each other's photos and falling asleep while talking to each other. The film Luka Chuppi is a hilarious take on how two families react when Kartik and Kriti secretly decide to have a live-in relationship ahead of their wedding. Talking about audience's reaction to the film, Kriti Sanon told news agency IANS: "The response to the trailer has been fabulous. I am really glad about it. I am really hoping the audience will appreciate the film as much as they are appreciating trailer." 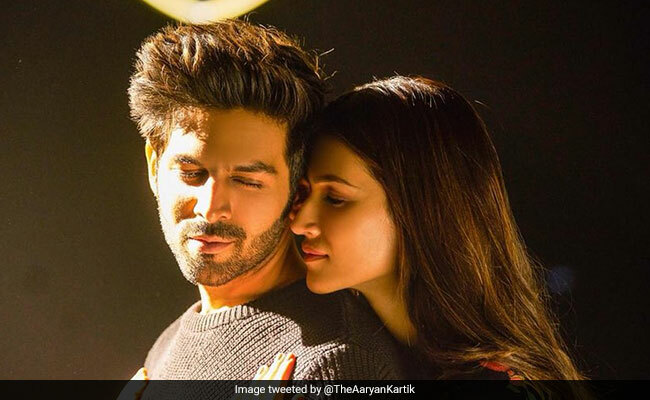 Luka Chuppi marks Kartik Aaryan and Kriti Sanon's first film together. Luka Chuppi has been helmed by Laxman Utekar, who is making his debut as a director with the film. Produced by Dinesh Vijan, the film will hit the screens on March 1 this year.